Invite Deb to your next meeting, workshop or training event. Whether you are looking for health and wellness solutions or party plan training and consulting, Deb is the educator for you! 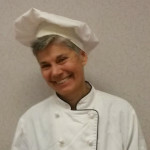 Deb Bixler is a culinary trained chef turned motivational speaker who teaches healthy living, wellness education and direct sales training solutions. Her mission is to create a better future for your family through fun, fast and healthy food choices and increased cash flow into your home. A lifelong study of the art, science and passion of eating good-for-you food has given Deb a vast knowledge of food and healthy living choices. She is a trained chef and graduate of the Culinary Institute of America in Hyde Park, NY and has an associates degree in hotel/restaurant management. She is certified by the National Restaurant Association’s ManageFirst program to teach nutrition and ServeSafe classes to culinary students. Deb knows more about food than anyone you have ever met. After a successful 30-year career in the hospitality field, she retired from the corporate world in 2000 to enjoy life as an entrepreneur. In the first 9 months in the direct sales industry she built a sales team and cash flow which provided her with an income capable of replacing her corporate business salary of $80,000 per year. Honored in the Direct Selling Power 50 and the Women of Power awards multiple times, Deb was recognized as one of the most influential professionals in direct sales worldwide. Her niche and expertise is the party plan business model and her systems work for all sales organizations.